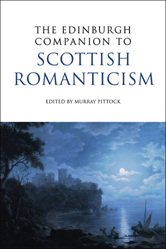 Bringing together an international group of experts, this companion explores a distinctly Scottish Romanticism. Discussing the most influential texts and authors in depth, the original essays shed new critical light on texts from Macpherson's Ossian poetry to Hogg's Confessions of a Justified Sinner, and from Scott's Waverley Novels to the work of John Galt. As well as dealing with the major Romantic figures, the contributors look afresh at ballads, songs, the idea of the bard, religion, periodicals, the national tale, the picturesque, the city, language and the role of Gaelic in Scottish Romanticism.